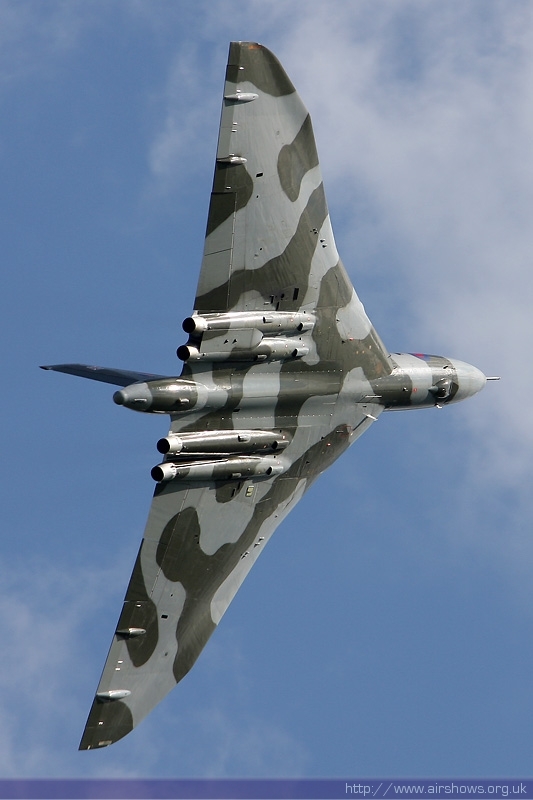 RAF Cosford’s 75th Anniversary Air Show is thrilled to announce the news that many have been waiting for, as Avro Vulcan XH558 from the Vulcan To The Sky Trust is confirmed to attend the event on Sunday 9th June. 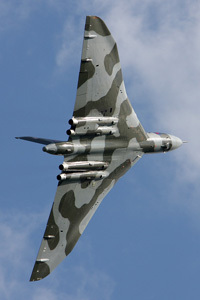 Since returning to the skies in October 2007, the last flying example anywhere in the World of the Avro Vulcan has only been to the Air Show on one other occasion in 2009. The iconic aircraft was a huge hit with the visitors, setting a new attendance record and the Vulcan proved itself a firm crowd favourite. XH558 supplements an already impressive line-up for the 2013 Air Show and is sure to be one of many highlights throughout the day. Other confirmations for the one-day event include the RAF Typhoon and Tucano display teams, aerobatic display team The Blades and the RAF Battle of Britain Memorial Flight including the Avro Lancaster, another famous creation from the same engineering minds behind the Vulcan. The World famous RAF Red Arrows have also included the RAF Cosford Air Show in their 2013 display schedule. The V-Bomber became a symbol of British strength in the deterrent years following World War II and was also used to great effect during the Falklands conflict until it retired from service in 1984. Its presence will complement a warmly anticipated exclusive to the static display, involving a Harrier GR3 complete with aircraft hide, set up exactly as it would have been during the Cold War. The organisers this year have also introduced several new hospitality enclosures for the 2013 Air Show including the popular ‘The Cosford Club’ sponsored by Nikon. With a dedicated crowd line spot, private domestic and catering facilities as well as the opportunity to loan exclusive Nikon equipment and the chance to win a taxi ride in a Jaguar aircraft, ‘The Cosford Club’ offers its members a fantastic enhancement to the Air Show experience. For details of the full range of packages on offer to suit all requirements and budgets, please visit the air show website at www.cosfordairshow.co.uk. Air show tickets can be purchased online at www.cosfordairshow.co.uk, by calling the 24-hour ticket line on 0871 230 1083 (10p/min plus network charges), by combining rail travel and admission with Arriva Trains Wales or at various other outlets details of which can be found on the website. Advance adult tickets are priced from £20, representing a 20% discount on tickets bought on the day and FREE admission for children under-16 accompanied by an adult as well as FREE car parking.